QUICK RE-UPDATE FOR 2019: this is the fixed, correct schedule for the 2019 races, please note that some items (price, etc.) may still be subject to change, check back soon for complete 2019 info. The World Tuesday Night Championships (WTNC) continues a long-standing tradition of weekly hammerfests that stretches back to the 1980s. Points are awarded for each race in the series and redeemed for cash prizing at the end of the series. Leaders jerseys are issued to interim and final series leaders. Alternating between the Glenlyon and UBC courses on fair-weather Tuesday evenings. Note: Lap board will be colour coded to reflect the categories below. EV Timing tags from any race can be re-used. First-time racers must purchase a tag and bib at their first race. These will be used at all subsequent WTNCs for the year. Prices in effect until 1:00PM on indicated date. In case of injury or illness, refunds for race entry fees may be considered at the discretion of the organizer, but only if the request is received before midnight the day before the race. The race payment system has an administrative fee of $5 per refund which will be passed onto the rider; the refund will be the value of your original race entry fee, less $5. Alternatively you may request that your race entry fee will be deferred to another WTNC race for this year and you will be issued a Race Entry Coupon at no charge. Please contact us with your request by midnight the day before the race. All races are sanctioned by CyclingBC and are governed by the UCI’s regulations regarding road races. Participants will be allowed to use disc-brake equipped bicycles at all EV races. For EV-specific race rules, please refer to the EV Race Bible (PDF). All racers must hold a valid UCI, Cycling BC RIDE or RACE, USAC, or USCF license. Single-day licenses can be purchased at Registration for $10. Youth race either in their ability category on their UCI license. 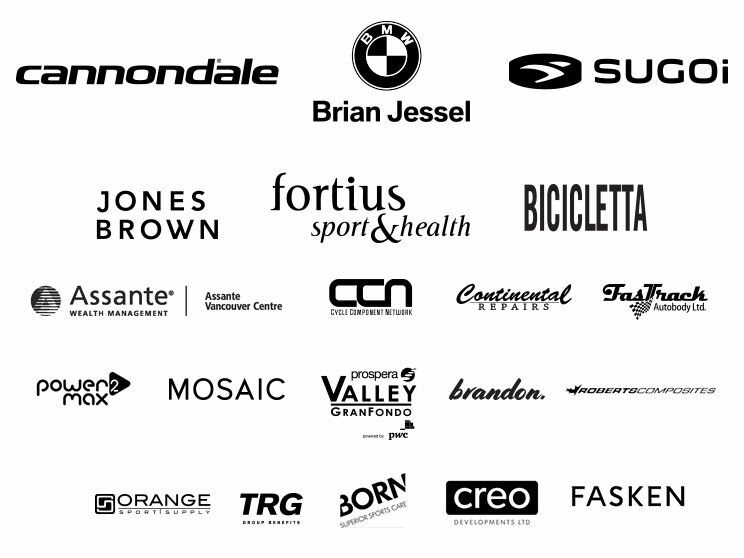 Participants with a Cycling BC 1-day or RIDE license must race in the D Group. Riders seeking category upgrades must submit a formal request to CyclingBC and follow the UCI Category Upgrade procedure. Riders must not warm up on-course either in the direction of the race, or by sitting on at the back of an active race. Please warm up in the opposite direction or an empty road. Riders caught violating this rule will be given a warning by the Race Director or an Escape Velocity ambassador. A second violation will result in the rider being barred from that evening's race. Repeat violations will result in a ban from all remaining WTNC races this season. Parking: If you drive, the best place to park is over on Bryne Rd, Fraser Park Dr or the small parking lot off Mountbatten St. Parking over there has the added bonus of being close to the washrooms at Burnaby Fraser Foreshore Park. Our long-term goal is too eliminate all cars parked on Glenlyon or N. Fraser Way. Coaching adults - M5 and W4 categories only. Coaches will be announced and identified prior to the field rolling out. Coaches must not impede, animate, or influence a race or provide unnecessary advantage to riders in the field. In the event of an incident on course, marshals will notify racers and display coloured flags at one of several locations. Yellow: race neutralized. All racers must maintain their current position in the peloton and carry on at a neutral pace until given further instructions. Watch for riders, obstacles, or emergency services on course. Green: all clear. Incident has been cleared and racing may resume. All racers must use the designated bathrooms at each course. These are clearly labelled on the maps above. Any racer observed violating this rule will face an immediate ban from all remaining 2018 WTNC races. Points are awarded for the top five places at each race and prime sprints. Reduced points are awarded for races with fewer than 10 participants. Results are tallied over all races except the last scheduled date (traditionally, the final race of the season does not count towards series results). Prizes will be awarded 5-deep based on total accumulated points in each category at the end of the season. See details below. Disputes of finish placings must be made with the Finish Line Officials before the end of the race. The decisions of the Finish Line Officials are considered final. WTNC races have no podium ceremonies; all prizes are awarded at the end of the year.